Parvati Prasad Baruva (1904-1964) - born in Sivasagar, Assam, on the banks of the Dikhow River, was a poet, lyricist and dramatist. He was an icon of Assamese literature and the culture of Assam. He was also one of the early pioneering filmmakers of Assamese cinema. He is known as the 'Geetikavi' - the lyrical poet of Assam. Parvati Prasad Barua was born on August 19, 1904, to a noted tea planters’ family from Assam. His father Radhika Prasad Baruva and mother Himala Devi were both litterateurs. His elder brother, Bhagavati Prasad Baruva, was known as the “Shelley of Assamese Poetry". From a very young age, both the brothers kept busy with literary pursuits and also produced and acted in numerous dramas. Parvati, specially, had interests in Assamese music and poetry from his childhood and throughout his life, he maintained his love for the same. He was also an unswerving admirer and follwer of "Rabindranath Tagore’s" works. He could sing more than 2000 songs of Tagore. Parvati Prasad, at the age of ten, for the first time, played the part of 'Joymoti', in a play staged by the local theater group. In 1921, he started a hand written monthly magazine called 'Jhupitora'. At the same time he, along with his elder brother and friends, founded a literary organization called 'Bimalalaya' that held literary discussions regularly. Later the group started another hand written magazine called 'Ghar Jeuti'. Around this time, Parvati Prasad also began composing lyrical poems and sang them to the tunes of traditional Assamese folk songs, classical songs and 'Borgeets'. Till that time, modern Assamese songs were sung to Bengali tunes. In 1934, Parvati Prasad Baruva married Padma Kumari of Mangaldoi, Assam. In 1939, he started his own tea garden called Raidang Tea Estate and in 1947 bought Sonarie Tea Estate from its British owner. Along with this he continued his pursuit of music and drama. During this period, he composed two dance dramas, ‘Lakhimi’ and ‘Sonar Soleng'. 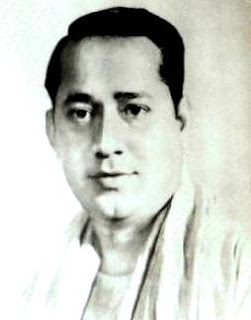 Parvati became vastly popular after he produced, directed and acted in the 4th Assamese movie, Rupohi in 1940. He also composed the music for Rupohi. He introduced a new word 'bol sobi' for the 'talkies' or cinema. At the same time he was actively involved in the theater and brought about many changes in theatrical trends of Assam. He also choreographed modern dances that were influenced by traditional Assamese dance forms rather than the Bengali dance forms that were popular in those times. In 1962, during the Chinese invasion, when Indian soldiers began retreating from Bomdila, Parvati Prasad along with 'Dr.Bhupen Hazarika' tried to inspire the youth with patriotic songs, traveling all over Guwahati on the back of an open truck. Both of them were patrons of 'Madhu Sayanika', a cultural organization for youth that had initiated this rally. Parvati Prasad wrote two book of poems in his lifetime called 'Bhonga Tukarir Sur' and 'Khel Bhonga Khel'. 'The Assam Sahitya Sabha' later compiled all his work in a book called Parvati Prasad Baruva Rasanawali. It includes two of his previously unpublished books called 'Mayapi' and 'Mou Tukari'. During his lifetime, Parvati Prasad published three books of his songs. They are 'Gungunani', 'Luiti' and 'Sukula Dawor Oi Kohuwa Phul'. Parvati Prasad was the first person to introduce the famous 'Jonaki Mel'; which was a gathering of like-minded people where one could come on to the stage with an entertainment item like a song, a dance item, a poem, a joke or a talk. 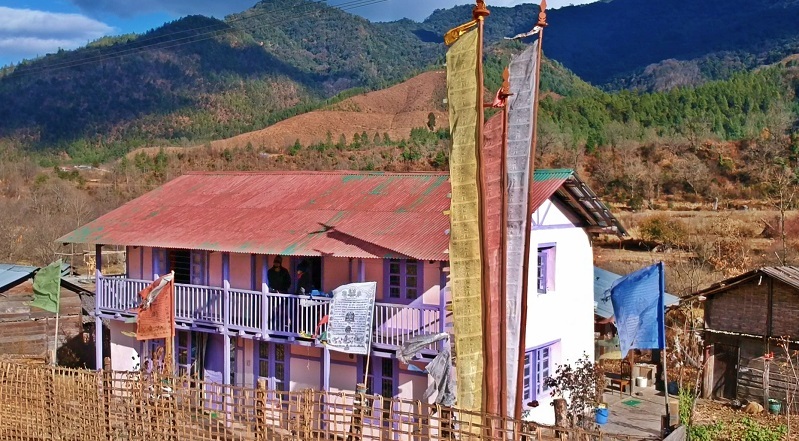 Today, in Assam, the jonaki mel epitomizes Parvati Prasad’s creative spirit. From 1953 to 1964 Parvati Prasad Baruva suffered 5 (five) massive strokes. And on June 7, 1964, he passes away after his fifth and final stroke. You, sir, are doing great work. Keep it up.